Visitors to Gibraltar, especially when they arrive on the Rock for their first visit, will be dazzled by a multitude of sights and sounds – colourful buildings, brightly-decked shops, the bustle of daily business in a cosmopolitan European city with its backdrop of traditional streets and passages and the looming Moorish Castle. Cruise passengers alighting at Gibraltar Harbour’s North Mole gaze up at the steep North Face of the Rock as they approach the old city gates at Casemates Square; land-travellers enjoy the unique experience of crossing a runway that bisects the isthmus as they drive or walk towards the vibrance that is Gibraltar. Many first-time visitors to Gibraltar will head for a tour of the Rock, and if they like to plan ahead, they will probably have pre-booked a private rock tour. This is an ideal way, especially if time is short on a day trip of Gibraltar, to take in the spectacular views across the edge of Europe to the mountains of North Africa across the renowned Strait. Organised tours, with their knowledgeable drivers and guides, are a perfect way to learn about Gibraltar’s history, its incredible flora and fauna in the Nature Reserve of the Upper Rock, as well as learning a little bit about the people that make up the wonderful, cultural combination that makes Gibraltar unique. But for those who might want a little bit of time to relax, to find shade, serenity and perhaps even a few moments of solitude and contemplation, a tour of Gibraltar’s stunning and world-renowned botanical gardens, known locally as the Alameda Gardens, is a perfect antidote to the business of travel. Gibraltar Botanic Gardens lie just south of the city centre, a short walk from Southport Gates in the walls of Gibraltar’s 16th century defensive walls and from the Trafalgar Cemetery. Enjoying a typical Mediterranean climate, the Gardens provide a lush oasis for sun-weary travellers. Its labyrinthine paths wind through carefully tended planted areas, scattered with benches under the spread of magnificent trees. Whether you tour the gardens alone and find the perfect spot to enjoy the bubble of fountains away from the city’s hubbub, or you are enjoying a picnic with a group of fellow travellers while overlooking the gleam of the Bay of Gibraltar to the west, the Gardens provide a beautiful, scenic detour. 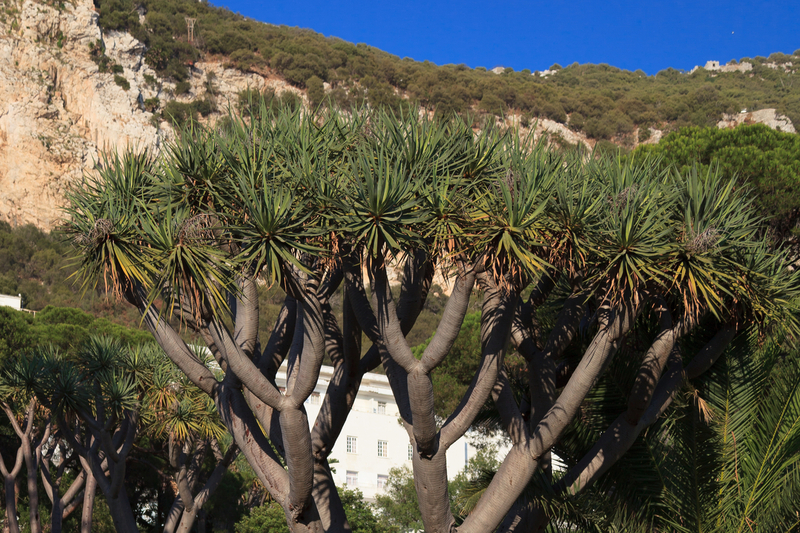 Not only providing a pleasant, green respite for Gibraltarians and their very welcome tourist friends, the Gibraltar Botanical Gardens are carefully tended and are used to provide education, research and the conservation of flora. Plants from all over the world can be found in its lush beds. And not far from the heart of the gardens there can be found the Alameda Wildlife Conservation Park where animals that have been rescued by Gibraltar Customs as well as unwanted exotic pets are cared for in a safe environment that caters beautifully for their welfare. The Park takes part in conservation projects around the world supporting international efforts to conserve rare and endangered species. The Alameda Gardens, as Gibraltarians colloquially refer to them, is an ideal refuge from the bustle and hustle of this gloriously vibrant Mediterranean city. If you’re touring Gibraltar, take a while to pause in the Gardens and breathe in its flower laden-air, shelter in its shady nooks and find a few moments of utter serenity, here on the Rock at the tip of Europe.